Dr. Sijo Parekattil is the Director of Urology & Robotic Surgery for the Urology Program at Winter Haven Hospital and University of Florida. He was an Electrical Engineer (University of Michigan) prior to his medical training and thus has interests in surgical techniques incorporating technology, robotics and microsurgery. He completed his urology residency training at Albany Medical Center and then went onto complete dual fellowship training from the Cleveland Clinic Foundation, Cleveland in Laparoscopy/Robotic Surgery and Microsurgery/Male Infertility. 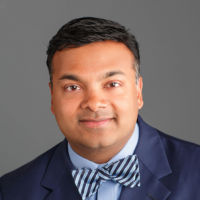 Dr. Parekattil has received numerous awards including two Annual Innovator Awards from the Cleveland Clinic Foundation. He has published several articles in the field of robotic microsurgery. He is a co-editor of an upcoming textbook on Male Infertility and a surgical textbook on Robotic Microsurgery. He has performed some pioneering work in the arena of robotic microsurgery and has now performed over 700 such procedures. He has developed a multi-disciplinary program dedicated to the treatment of male infertility and groin/testicular pain. He is also a Visiting Professor at the University of Zambia, Lusaka, Africa and is involved in a multi-institutional program to deliver medical equipment, training and supplies to the Urology Department at the University Teaching Hospital in Lusaka. He is one of the founding Board members of the Robotic Assisted Microsurgical & Endoscopic Society (RAMSES), a group focused on the evidence based development of tools and platforms for robotic assisted microsurgery.